It was truly inspiring to arrive to a sea of fellow cyclists, activists and people who happen to ride a bike from point A to point B. It was well worth the early rise and gruelling trek across from Glasgow to Edinburgh (about 80km) against a brutal headwind because despite it being for a good cause, I managed to justify eating two veggie burgers, french fries and a chocolate milkshake at the end of it all. Which reminds me: I highly recommend Wannaburger after burning off about 1500 calories for calorific foods and delicious homemade shakes. We gathered in the Meadows and cycled along the Royal Mile, all the way down to Scottish Parliament. 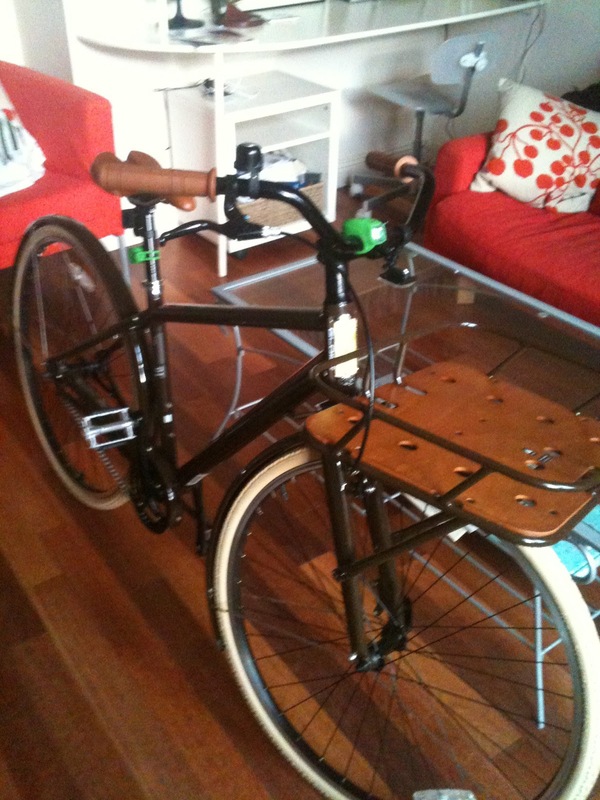 And because I'm somewhat obsessed, I've gotten a new bike: a single-speed Globe Live 1. And despite already having several issues with it (e.g. 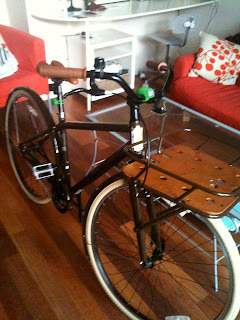 front basket isn't deep enough and needs to come with cargo netting), I am in love with it. The only thing I have yet to master, however, is safely transporting my Aldi (a grocery store I am also totally obsessed with) eggs home. yikes :) maybe google how to transport eggs safely on a bike?